China’s crackdown on illegal gambling activities has resulted in thousands of government officials getting punished since the campaign began in the middle of last year. Over 7,000 Chinese officials punished for gambling offensesThe Shanghai Daily quoted a central government report that said 7,162 officials were punished for their involvement in illegal gambling activities in more than 30 cities and provinces in China. Of these locations, the Zhejiang and Guangdong provinces reported the most cases with 1,575 cases and 1,127 cases respectively. No details were released on the severity of the punishments but reports indicated they ranged from warnings to administrative punishments. 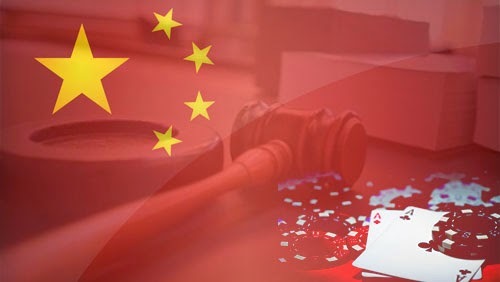 The report puts weight on separate incidents wherein Chinese government officials made headlines in the past for their gambling foibles, including officials who were alleged to have taken bribes “by being allowed to win” at mahjong by gambling owners. In China, it’s a common practice, especially in Guizhou province, as a way of winning “favors” and preferential treatment for potential business dealings. Back in May, a deputy director from Liuzhou’s social security management office was arrested over allegations that he pocketed 3 million yuan in public funds to pay off losing soccer bets. A similar case was reported in Guangxi’s Liangjiang Town where Finance Office Director Lu Shengle allegedly siphoned off 3.23 million in government money to pay gambling debts. Then there’s the case in Fotang Town in Zhejiang’s Yiwu City where a village official is currently under investigation over allegations that he has more than 4 million yuan in debts in Macau, following a suicide attempt in late September.